We Are A Texas Based Company who also appraise aircraft throughout The United States. We provide quality USPAP (UNIFORM STANDARDS OF PROFESSIONAL APPRAISAL PRACTICE) Certified Aircraft Appraisals on Commercial Aircraft (all sizes), Business Jets, Turboprops, Multi Engine and Single Engine Aircraft along with Helicopters (turbine and piston) and Experimental Aircraft. The only real way to determine an aircraft’s actual market value. This is accomplished by a visual examination of the aircraft by a professional appraiser. The exterior is inspected for damage, corrosion, loose or missing fasteners, paint condition, airframe condition and tires condition. A check is made for oil and fluid leaks around engine and landing gears. The interior of cockpit, passenger area and baggage compartment is checked to determine the condition of seats, carpets, head and side panels, glass, glare shield, etc. A thorough search of the log books and records is made for the latest airworthiness advisories (AD’s), damage history, and for completeness of the log books, maintenance history, etc.. Every effort is made to accomplish this task in a time frame agreed on between appraiser and client. Used for both Certified Appraisals and Market Analysis, the information collected is then incorporated into the PAAO database which uses monthly issued factual, current sales data on over 10,000 aircraft makes and models, 12,000 Avionics components, and 2,000 Engines to give our client the most up-to-date market values. How much is an aircraft worth? 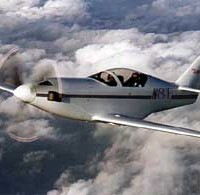 Most of the private propeller aircraft are more than 30 year old. Over the years these aircraft have been modified, upgraded, and refurbished to the point where many look and perform like a new plane. But others have had less updating. The very nature of older aircraft dictates that No Two Are The Same. Maintenance accounts for a major portion of the cost of ownership. An aircraft due for a major overhaul is worth considerably less than one recently overhauled. Aircraft with a damage history have less value than a plane with a clean history. The PAAO appraisal process and software fairly and objectively asses the value of components requiring routine intenance and damage history. Not only are there thousands of avionics types, manufactures, and model combinations but they differ widely in value. 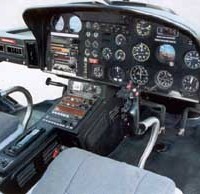 Consequently avionics have a substantial impact on the aircrafts value. It is not uncommon for the value of avionics from one aircraft to another to differ by $100,000 or more Failure to consider the avionics would be a major error. The PAAO process does it right! Not only affects how the aircraft looks, it affect the aircraft’s value. Paint quality not only affects appearance but aircraft performance. Variation here can be extreme, and significantly affects value. Again, the PAAO appraisal process does this objectively and fairly. The engine is the most critical part of the aircraft. Requiring routine maintenance and overhauls, engines are important. Again the same plane may have different engines. The PAAO appraisal process utilizes a database of thousands of engine configurations and overhaul cost together with the current maintenance status of the planes engines to assess the engines contribution to the value of the aircraft. When comparing professionalism, experience, knowledge, reliability, accuracy, technique, acceptance of reports by financial and government institutions, and overall quality of work, M & B AVIATION APPRAISAL stands far above the competition. Helicopter buyers tend to be more knowledgeable about the aircraft they want to buy than their general aviation market counterpart. When comparing professionalism, experience, knowledge, reliability, accuracy, technique, acceptance of reports by financial and government institutions, and overall quality of work, M & B AVIATION APPRAISAL stands far above the competition. 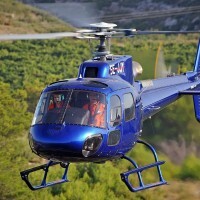 Helicopters must use forces acting on the airframe to generate lift. As a result helicopters have more complicated maintenance requirements and more time limited components. Consequently, maintenance plays a larger role in estimating value than in fixed wing aircraft. As with fixed wing aircraft, helicopters with a damage history have less value than helicopters with a clean history. The PAAO appraisal process and software fairly and objectively assess the value of of components requiring routine maintenance and damage history. Although helicopters typically have fewer avionics components than an a fixed wing aircraft in a similar mission, avionics still comprise a significant portion of a helicopters value. Failure to consider the avionics would be a major error. The PAAO process does it right! Whether used for dusting crops or transporting executives across Manhattan, appearance significantly affects value. Again, the PAAO appraisal process does this objectively and fairly. A fixed wing owner must consider the cost of overhauling engines and props. The helicopter owner has engines, main rotor, rotor head, tail rotor, swash plates, gear boxes, actuators, and other time limited components. Depending on the configuration, the same component has different life cycles and overhaul costs. These costs can affect the value by $1,000,000 and more. The PAAO appraisal process utilizes an extensive data base of component costs and the configured life cycles to develop a correct value for the residual life in the aircraft’s time limited components. 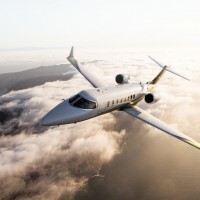 These aircraft are one of the fastest growing segments of general aviation. But, what is one of these aircraft worth for insurance purposes or re-sale? The very nature of this market dictates that No Two Are The Same. Attention to detail, and quality of options differ from aircraft to aircraft. 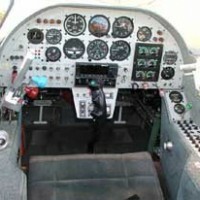 The PAAO appraisal process and software fairly and objectively assess the aircraft value. Built on a budget or built as a premium level aircraft – the avionics installed on the same make and model differ dramatically. The avionics may have a substantial impact on the aircraft’s value. Failure to consider the avionics would be a major error. The PAAO process does it right! Not only affects how the aircraft looks, it affects the aircraft’s value. Builder to builder variation here can be extreme, and appearance affects value. Again, the PAAO appraisal process does this objectively and fairly. Some builders use modified automobile engines, others certified aircraft engines. Whether the aircraft has a modified Subaru engine or a Lycoming will dramatically affect value. The PAAO appraisal process utilizes the engine information to develop the aircraft’s value. When comparing professionalism, experience, knowledge, reliability, accuracy, technique, acceptance of reports by financial and government institutions, and overall quality of work, M & B AVIATION APPRAISAL stands far above the competition. To find out more about the appraisal process click here. To request more information about an Appraisal, click here.